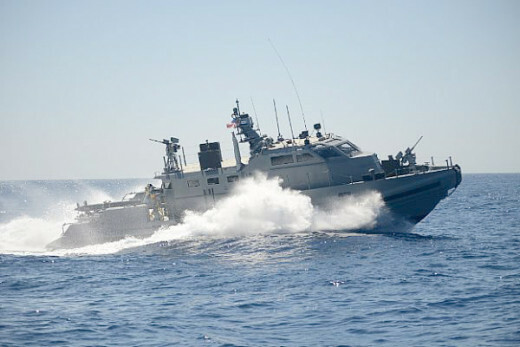 The U.S. Navy’s Mark VI Patrol Boat (PB), built by Safeboats International, surpasses previous U.S. Navy patrol boats in firepower, range, capability, and function. For starters, the Mark VI PB is heavily armed for its 85-foot size. 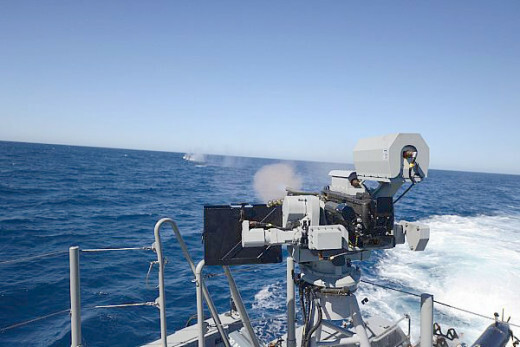 It can mount up to two stabilized MK38 Mod 2 25mm autocannons, one forward of the pilothouse and one on the aft deck, and has provisions for four Mark 50 Kongsberg remote weapons stations and up to six additional crew served weapons, giving the MK VI PB 360-degree firepower coverage with stabilized fire-on-the-move capability. The Mark 50 is completely stabilized with a color day camera, infrared camera, and laser rangefinder for day and night operations, and can hold a 0.50 caliber machine gun. 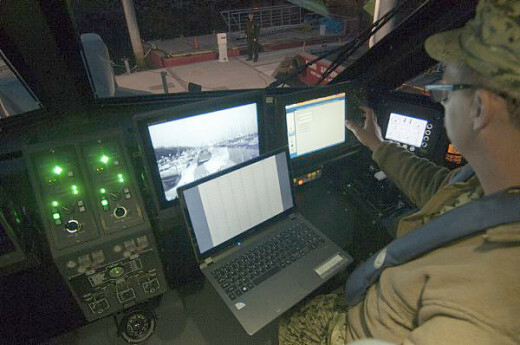 It can be fired from a console inside the pilothouse and also has an automatic target tracking software. Powered by twin diesel engines producing 5,200 total brake horsepower and burning Diesel Fuel Marine or JP-5 fuel, the engines propel waterjets that drive the aluminum hull MK VI PB to a cruising speed in excess of 25 knots, and a sprint speed of over 35 knots. It has a range in excess of 600 nautical miles2. 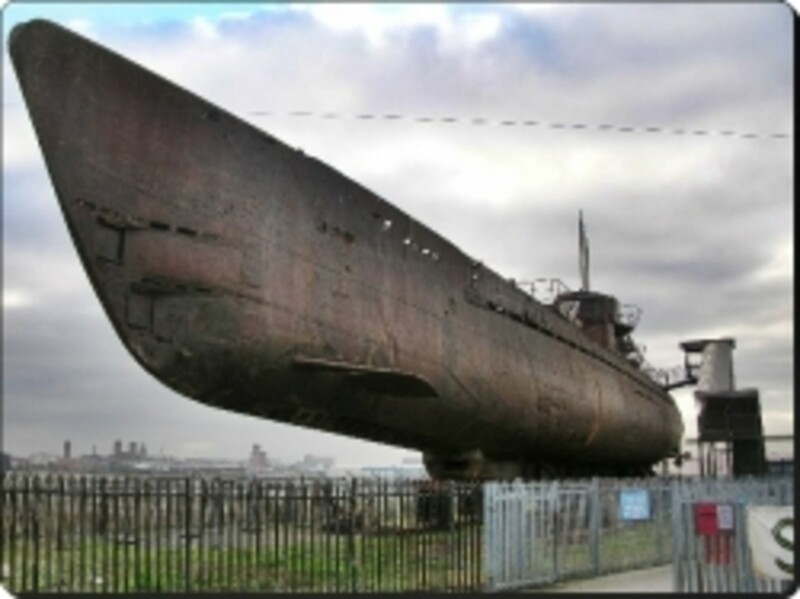 A 65-foot Coastal Command Boat (CCB) is very similar to the Mark VI PB with variations in size, range, communications, sensors, and weapons (the CCB does not have the MK38s and MK 50s; however, it does have MK 49s)3. An infrared strobe acts as a “follow me” light. Surveillance equipment consists of infrared and optical sensors, remote-controlled spotlights for nighttime use, and infrared filters for the remote-controlled spotlights. A Long-Range Acoustic Device (LRAD) is fitted for non-lethal measures4. Inside, there is space for berthing (six racks), a galley, head/shower facilities, and space for a crew of 10 (five on shift, five off) and eight passengers. Crews normally consist of two Boat Captains, Coxswains, Engineers, Navigators and Communications personnel. There is shock-mitigating seating for five in the pilothouse and 13 additional passengers in the rear main cabin. 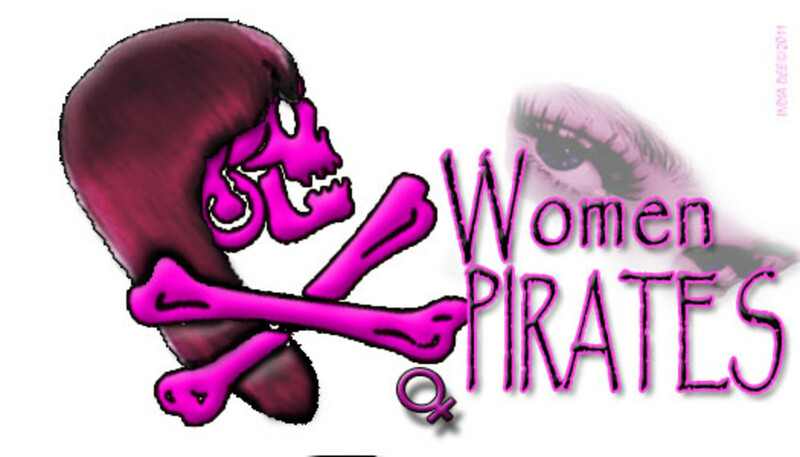 An eight-man Visit, Board, Search, and Seizure (VBSS) team or Navy SEAL team could accompany the crew for a total complement of 18. A rear platform allows the launching and retrieving of inflatable boats (Combat Rubber Raiding Craft) and divers and allows the launching of Unmanned Underwater Vehicles and Unmanned Aerial Vehicles. 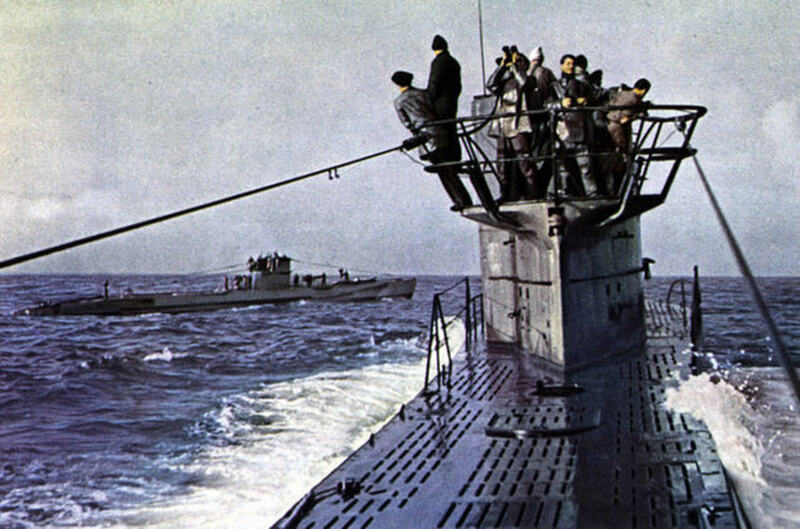 A side cutout allows for the Mark VI PB to pull up alongside ships for boarding and also to aid in the retrieval of debris, divers, injured persons in the water, or boarding small craft. Inside the pilothouse, color displays and computer controls are a far cry from previous Mark-class patrol boats. 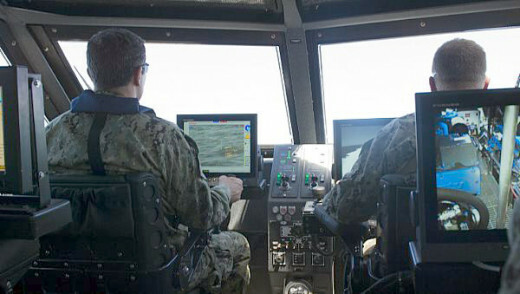 The boat is driven, steered, and controlled using joysticks and Multi-Function Displays. The 25mm autocannon and MK 50 remote weapons station have their own weapons consoles for firing inside the pilothouse. 1 Cavas, Christopher. 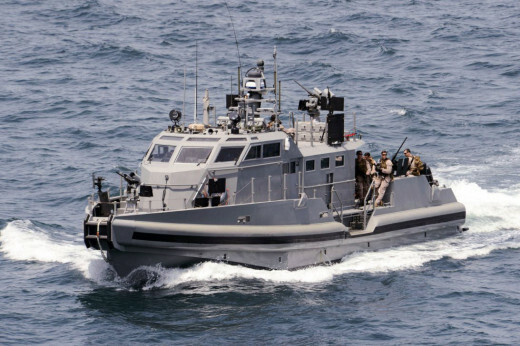 “Sailors drive potent new riverine boat in Persian Gulf.” Navytimes.com. 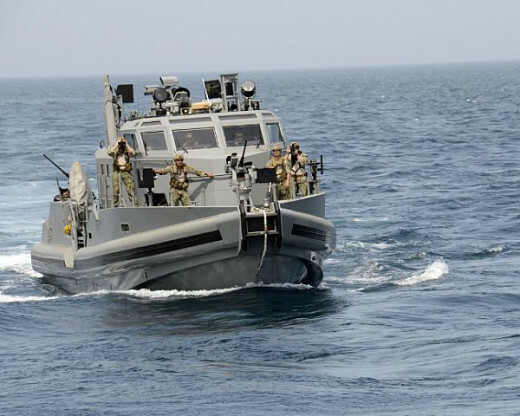 May 11, 2014. http://www.navytimes.com/article/20140511/NEWS04/305110011/Sailors-drive-potent-new-riverine-boat-Persian-Gulf, and U.S. 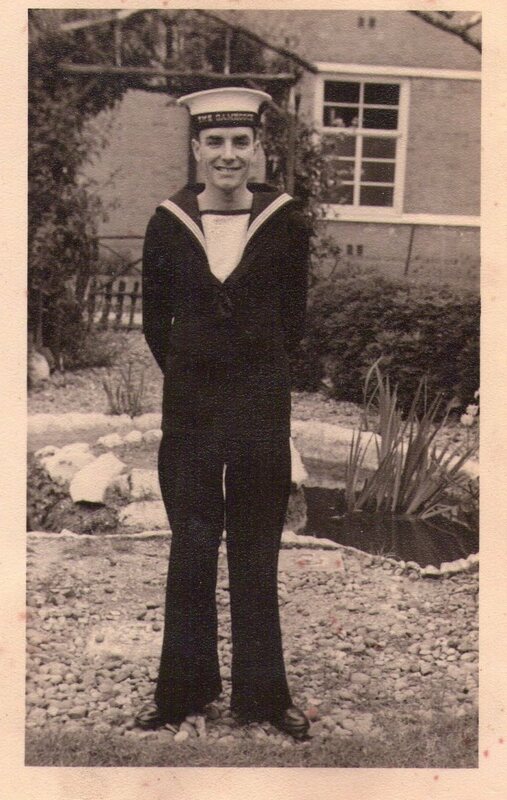 Naval Sea Systems Command Public Affairs Office. 2 U.S. Naval Sea Systems Command Public Affairs Office. 4 Hill, Chuck. 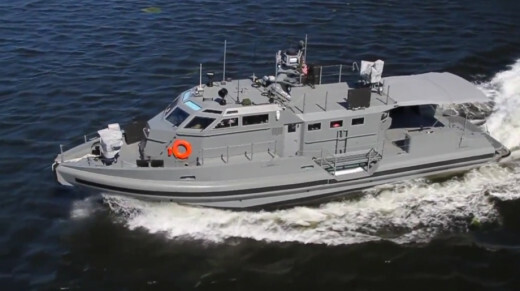 “The Navy’s New Patrol Boat.” Chuck Hill’s CG Blog. May 25, 2012. http://chuckhillscgblog.net/2012/05/25/the-navys-new-patrol-boat, and U.S. Navy SEA Command Public Affairs Office. 5U.S. Naval Sea Systems Command Public Affairs Office.